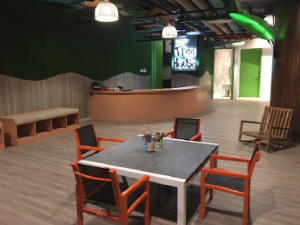 At the Tree House, your kids will have easy access to a wide range of fun and educational activities guaranteed to keep them busy and entertained. 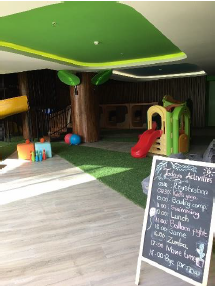 Kids Club offers inspirational and educational range of activities in a fun and safe environment with indoor and outdoor space inviting kids to enjoy amazing holiday entertainment and allowing parents to have a relaxing holiday at the same time. 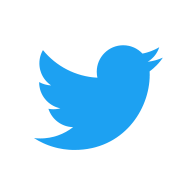 Offering a different theme each day and a range of activities. The activities include incorporation, culture, nature, wellness, creativity and education. Free of charge.